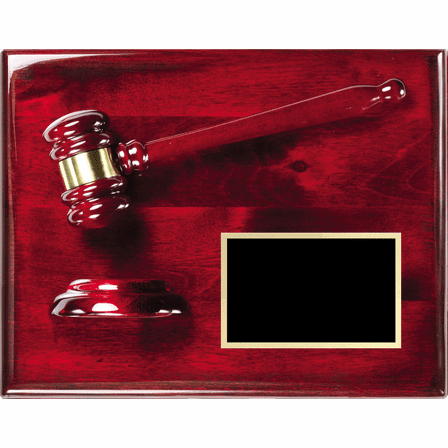 FEATURES/SPECS What better way to recognize a special achievement or a job well done by a legal professional than with this personalized gavel and sounding board plaque? 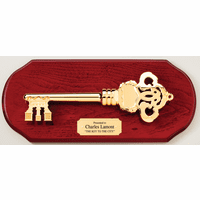 The wood plaque has a deep, rosewood tone with a heavily lacquered piano finish. It comes with a keyhole cutout in back so it mounts to a wall easily. The front has an attached gavel, complete with intricately detailed carvings and a brass band around the head. 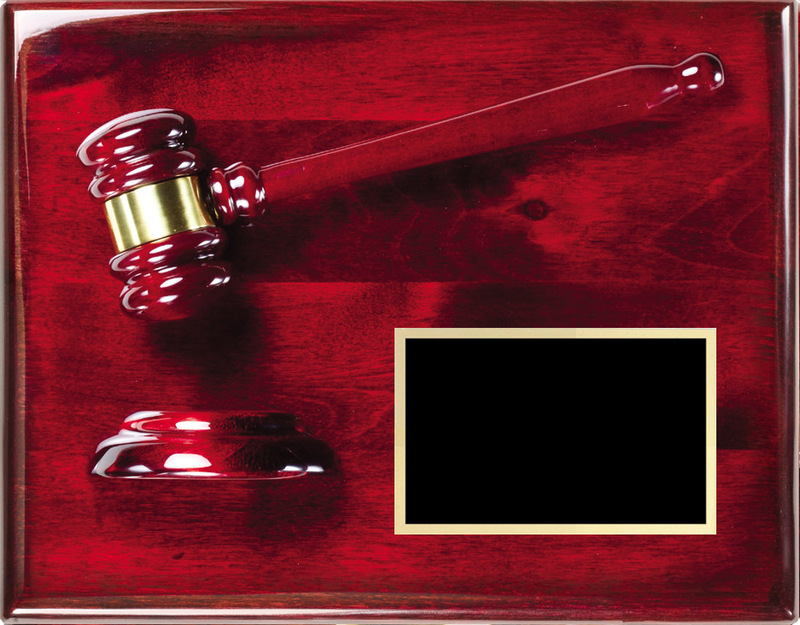 It also has a sounding board cut in half and mounted below the gavel. 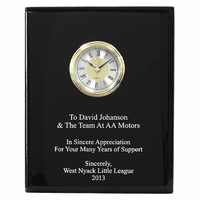 We'll add your custom personalized to the attached black and gold engraving plate free of charge. 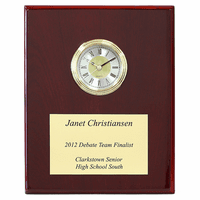 We can also add your company logo to the personalization free of charge. Just check the appropriate box above to enter this information. For logo orders, we'll email you a proof prior to production. If you order today, we'd ship tomorrow. Standard shipping takes one week. There are faster shipping methods (all the way up to next day air) available at checkout. I've ordered this product now two years in a row. Pete has been extremely helpful with answering any questions about the design for the engraving. Also the turnaround time was amazing. Stress-free awards ordering. Would definitely purchase again!!! Very professional piece with fantastic quality! The item arrived quickly and was well packaged to ensure nothing could be damaged.